Each year, when prime camping season is upon us I like to remind folks about the dangers of carbon monoxide gas. Carbon monoxide (CO) gas is invisible, odorless, and deadly! It is produced by the partial combustion of solid, liquid and gaseous fuels. This includes gasoline, propane, natural gas, oil, wood, & coal. It is extremely serious when combustion by-products are not vented outside, or when you are exposed to any source of CO gas. Carbon Monoxide is the number one cause of poisoning deaths each year. Carbon monoxide poisoning is toxic and can be deadly to both humans and animals. CO poisoning occurs after enough carbon monoxide gas is inhaled. The severity of the CO poisoning depends on the level of CO gas you are exposed to and the duration of the exposure. The good news is the threat of CO poisoning can be lessened through awareness and education. Let’s take a look at what we can do to prevent the danger of carbon monoxide poisoning. o Exhaust leaks from either a vehicle engine or a generator. o Improper use of portable gas powered heaters. o Someone else’s vehicle or generator when camping in close quarters. First of all, if your RV doesn’t have a carbon monoxide detector you need to purchase a battery operated carbon monoxide detector designed for use in RV’s. Test the carbon monoxide detector every time you use the RV. Replace the carbon monoxide detector batteries when you change clocks for daylight savings time. Did you know CO detectors have expiration dates. Check and monitor the expiration date (typically 6 years) and replace the CO detector as required. Tip: I write the expiration date on the front cover so I can check it in a glance. 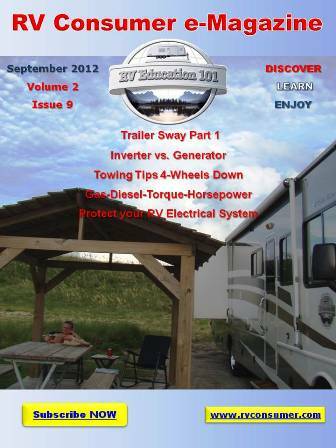 0 Inspect the generator exhaust system before using the generator, every time. 0 Avoid leaving windows down and roof vents open when in close proximity to vehicle and/or generator exhaust. 0 Follow all directions and safety cautions and warnings when operating gas powered heaters. 0 If you use a portable generator direct the exhaust well away from the camping area. 0 Never use the range burners or oven to heat the RV! 0 When cooking with the range burners use the range top fan & leave a window cracked open for fresh air and ventilation. 0 If somebody in close proximity to you is running a generator go and ask them to turn it off. They might be upset with your request, but it can save lives. 0 Shut the vehicle, generator or source of the CO poisoning down and do not operate it again until it has been inspected and repaired by a professional. 0 Get to fresh air immediately. 0 Account for everybody that is with you. 0 If the symptoms persist seek medical attention. 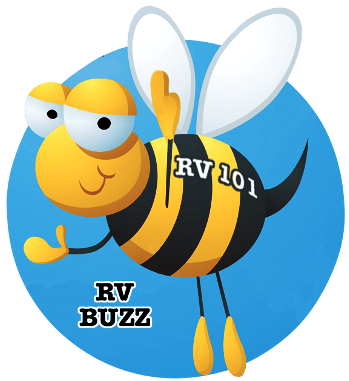 « RV 101® – What’s your RV Emergency Weather Plan?